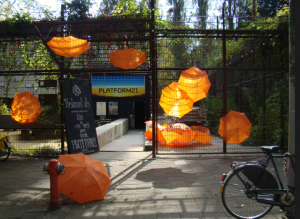 Platform21 began in 2006 as an incubator for a new design museum to be developed in Amsterdam Zuidas area. The project’s initiators were ING Real Estate; Premsela, Dutch Platform for Design and Fashion; and the city of Amsterdam. From its start I was the artistic director working on Platform21’s curatorial programme and at the same time developing the concept of this future design museum. 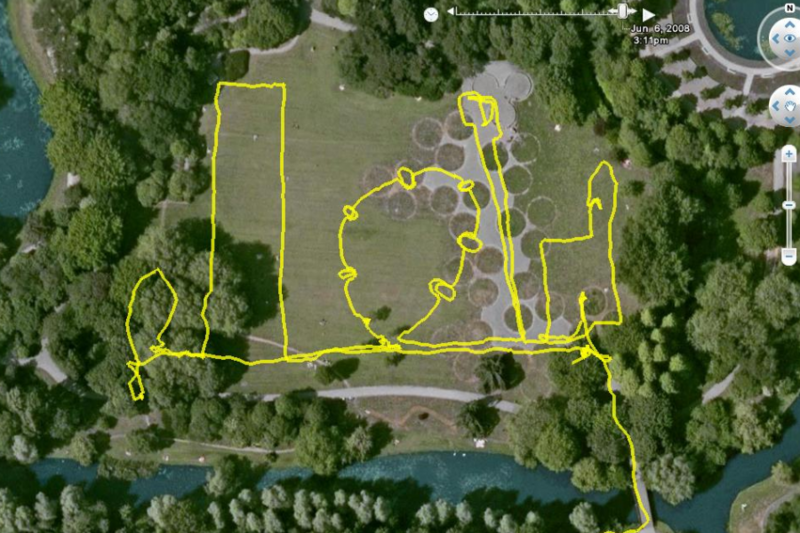 The mission of Platform21, housed in a circular ex-chapel beside the Beatrixpark, was to develop a versatile and distinctive programme of event related to contemporary design. Of central importance was that Platform21 should be an inclusive platform where designers as well as users and professionals as well as amateurs would be challenged to actively take part in the activities. The experimental elements of the projects made a significant contribution to the development of the future museum, which in concept we called Supermaker. Platform21 = Repairing, was a programme focused on the understanding of repair in a contemporary consumer society. It addressed repair as a more sustainable alternative than recycling. The programme was launched with the Repair Manifesto, which went viral worldwide. 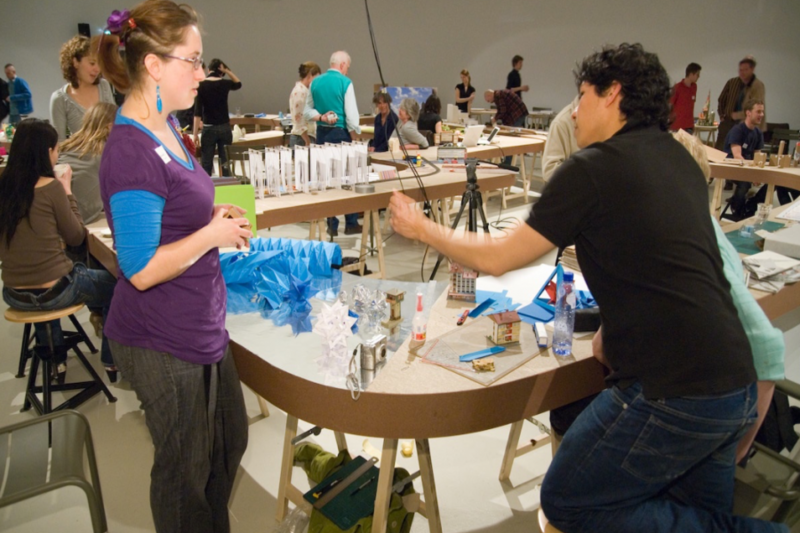 The exhibition space became a repair studio where new repair techniques were tried out and the public could repair their broken items together with teh help of local repair men. 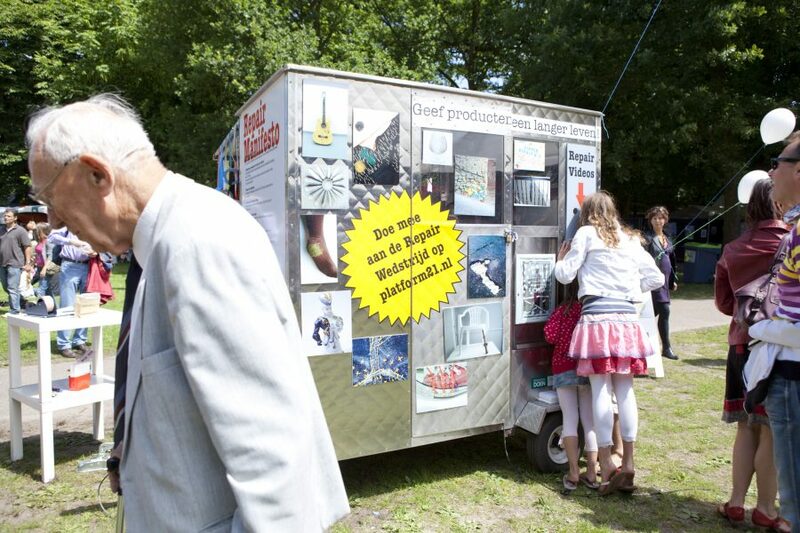 The project also went on tour to festivals with the Repair Road Show and the Repair Contest was an invitation to the public at large to show their creative repair innovations. The programme proved that a cutural institute can address societal issues and encourage a movement. The Repair Café was one of its spring offs. Platform21 = Hacking IKEA was a broad-based international project that involved numerous creative consumers, professionals, amateurs, and international cultural institutions based on a simple assignment: do shop at IKEA as if it where a hardware store and do not follow their rules. Artists and designers showed their hacks and the public was invited to rework themselves some IKEA products. The project attracted IKEA lovers and haters. It was even broadcasted on the six o’clock news. 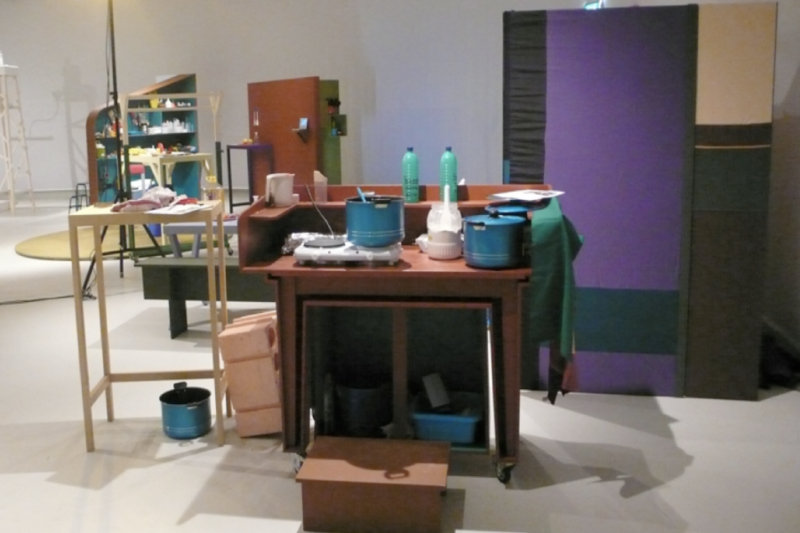 It also proved that visitors saw a workshop-style setting inside an exhibition as an extra positive element. Platform21 = Folding proved that the use of an active verb could lead to an exciting cross-disciplinary exchange of science, architecture, fashion, design, and a traditional art form, origami. The project also showed that one big iconic work, publicised many times in the press, would lead to a clear increase in the number of visitors. 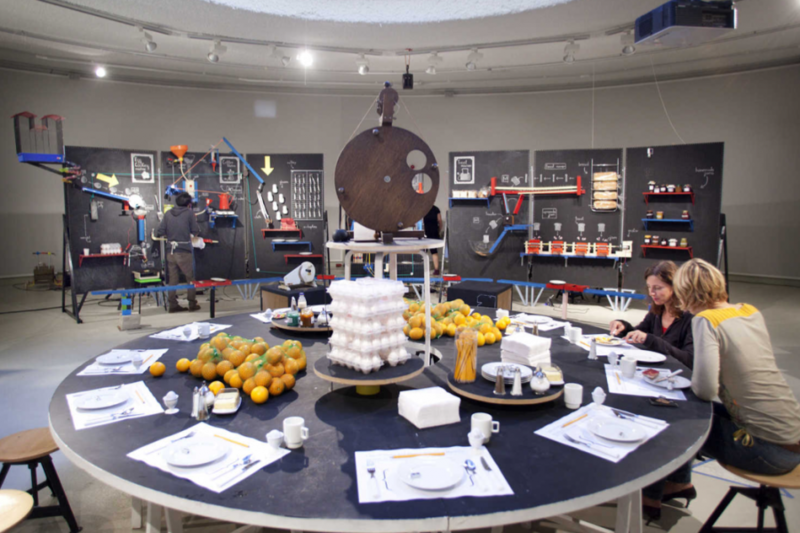 Platform21 = Cooking and Constructing functioned as a public laboratory where edible ingredients were used to make inedible objects. 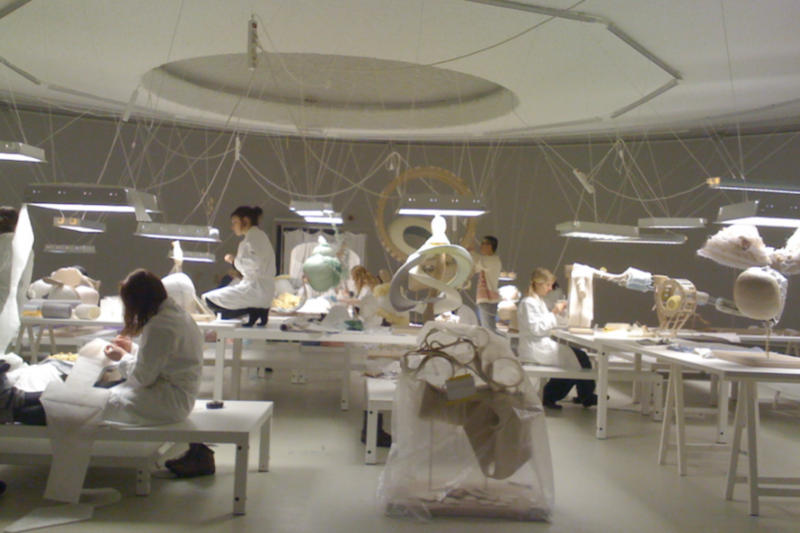 To have it really function as a research lab, a designer-in-residency was invited to work in the exhibition space. 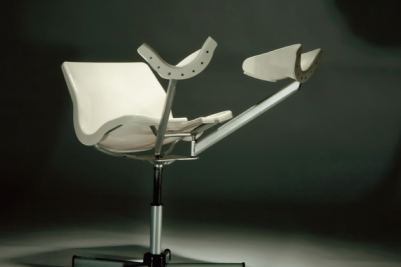 The products of the public workshops and the participating designers’ research findings were later used regularly in projects of other cultural institutions. Me and My Character, an investigation into the creative and cultural meaning of the phenomenon of characters (dolls and robots for adults), was assembled completely from contributions sent in from around the world, received in response to an open call on the Internet. Platform21 = Joyriding functioned as a subtle commentary on the dullness of contemporary cars, generated numerous new ideas, and sparked a clear rise in the number of male visitors. 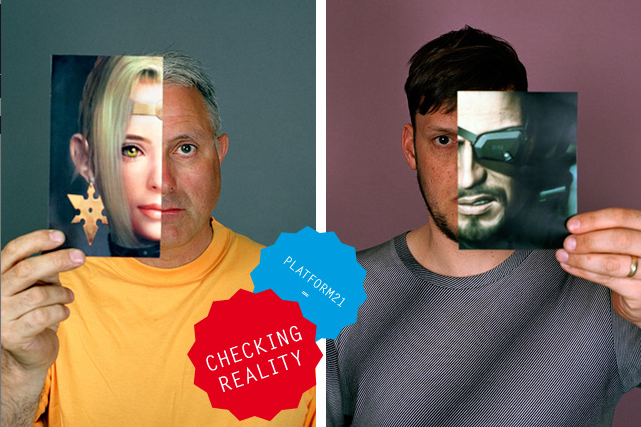 Platform21 = Checking Reality investigated the differences between physical and virtual reality. It showed that it was possible throughout a project’s run to generate a theme, deepen it, and provide it with new impulses in collaboration with cultural professionals and the public. For example, Platform21 was the first public centre to show and have visitors work with a 3-D printer. Platform21 = Hosting Christophe Coppens was an exercise in co-making. Members of the public was were able to help with the finalisation of couture pieces in a master/pupil situation. Finding volunteers was very easy. It was more difficult for the couturier, Christophe Coppens, to work in this situation, however, because he had no advance knowledge of his temporary assistants’ skill level. 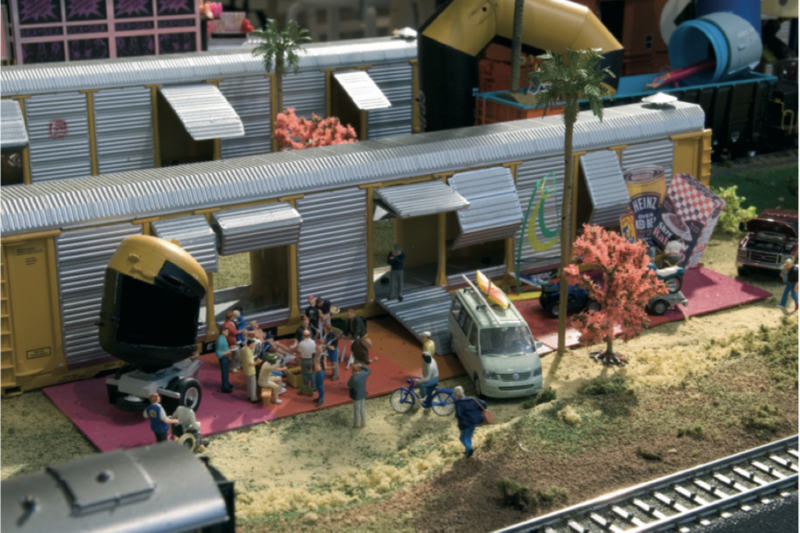 Travels Through Paradise, a project about realising your dream landscape in miniature, brought together the knowledge of miniature railway hobbyists and professional designers, artists and architects in a constructive and instructive way. Curator was Cynthia Hathaway. Unfortunately Platform21 never made it to the next phase. 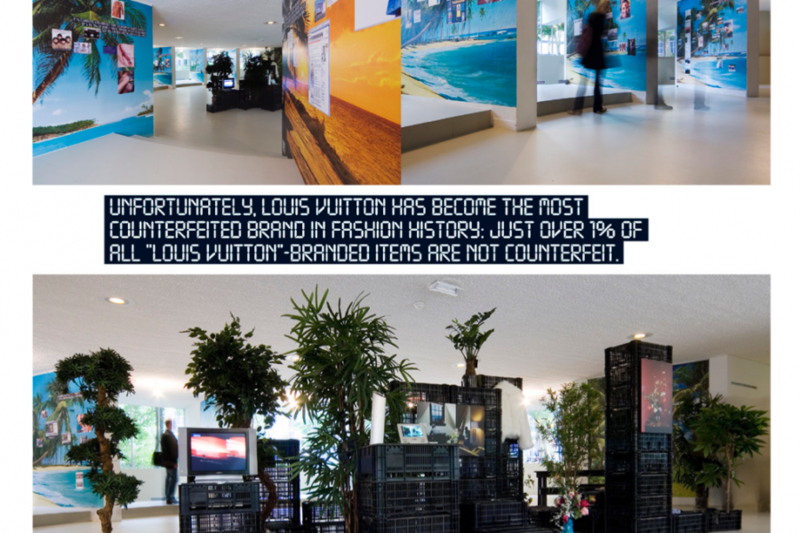 Due to the 2010 crisis, the partners had to quite there contribution to the project. Up till now (2018) there is still no Design Museum in Amsterdam. 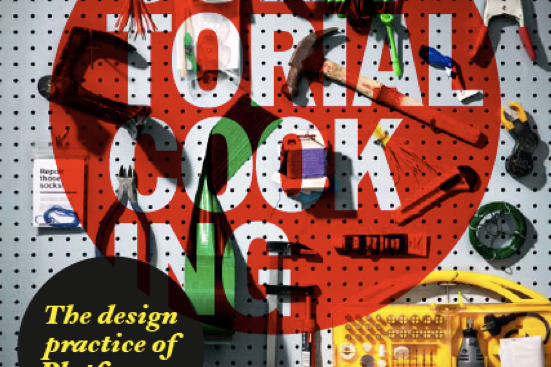 I have put all learnings from this experimental period in the book: Curatorial Cooking. The design practice of Platform21.